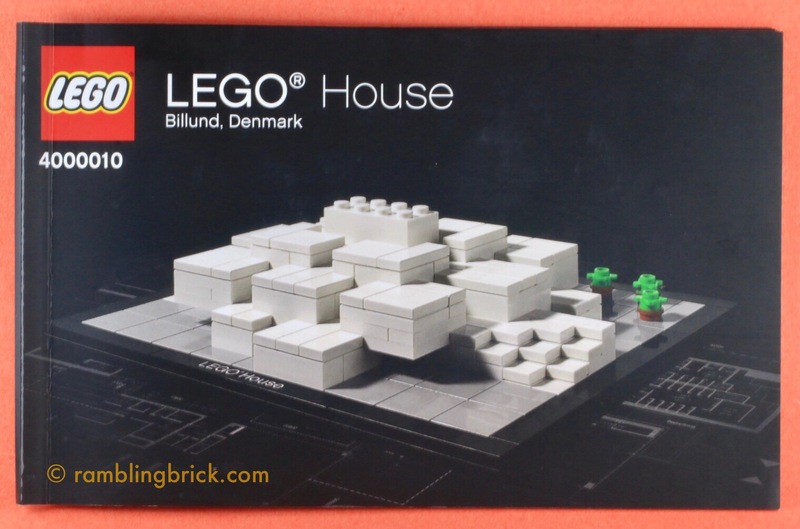 So I have been talking about the LEGO House a bit lately. It’s an exciting project, occupying the centre of Billund, due to open at the end of September. Like all new buildings in recent years of significance to LEGO, it has been immortalised in set form. Unlike many of the new factory sets, this one is available to purchase at almost all businesses around Billund. Except the LEGO Shop at the Airport, and LEGOLAND itself. You can pick it up at the bakery, the restaurant, the other restaurant, the supermarket and the LEGOLAND Hotel, just to name a few. No doubt, many of these businesses have been impacted by the construction, and the chase for this set may be an attraction to get tourists to venture into town. Now that the LEGO House is nearing completion, due to open in just over three months, the set is likely to have an extremely limited shelf life. 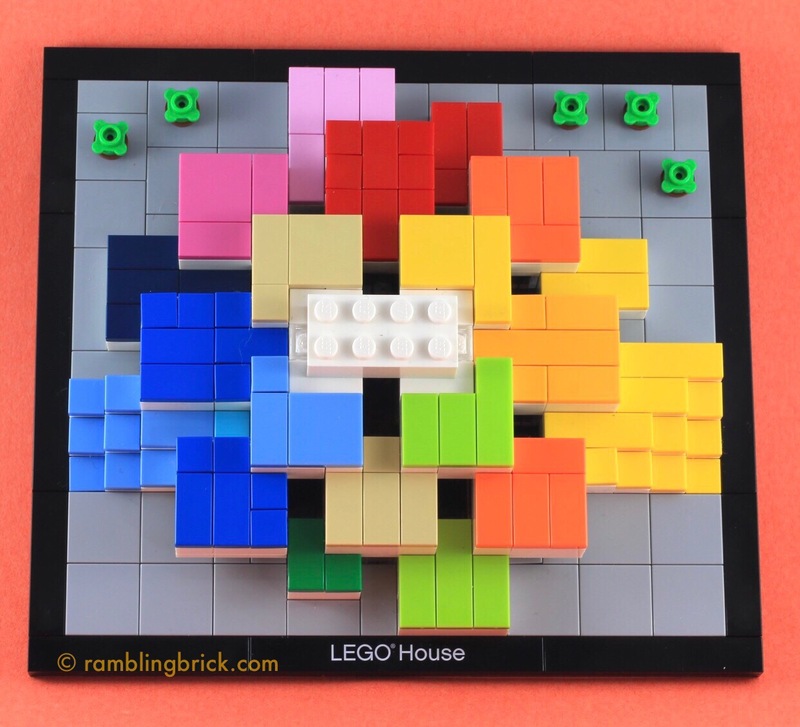 The Rambling Brick has been informed that it is highly likely that a new set based on the LEGO House will be unveiled once the facility is fully operational. No hints, clues or sneak previews have been presented. Anything that follows is pure speculation. But what about the set we have now? Packaged in the same firm black cardboard box as the Billund Airport and Architecture sets, this one is somewhat unique: It is a LEGO model of a building that had not yet been built, but designed to look as if it were built of LEGO bricks, looking like a LEGO Model. And it does. There are 250 parts, and the construction is not especially challenging, although the constant layout of white on white on white did result in me getting a little disoriented on more than one occasion. I started searching for pieces that I had already placed, getting anxious that I couldn’t find them. It turns out they were there all along! It certainly conveys the sense of space that the LEGO House has, and leaves me looking forward to going to see it when it is finally open. Measuring 20 x 20 studs, however, it is just a little too large to fit properly directly into a standard Micropolis layout. I wouldn’t credit this as a challenging build. It is a good representation of the real LEGO House, as it has now come together. It is a fantastic souvenir of a trip to Billund, particularly of a trip where I had a chance to visit the Real Thing! UCS LEGO House? Or just a demonstration model in the foyer of the LEGO House. And in the foyer of the model… LEGO Houseception? They appear to be minced fragments of old tyres…but green! Perhaps I should look at changing the colour of tiles on the upper surface, to make it look a little more like the proposed building? So, off come the white and then I try to find what I can: I can mostly stick to the big colour groups seen on the roof of either version. The tan on the brick model is more appealing to my current available tiles. Who would have thought I own so few bright blue, bright green and red tiles. A few more flame light orange would have been helpful too, but somedays you have to go with what you have. Pure speculation as to the nature of a ‘post opening’ LEGO House Model. The stairways are particularly effective with their covering terraced tile regions to either side, contrasting with the white underneath. This does help to remind us how colourful the building will appear to those flying in to Billund. What of the lights? Dare I drill out the studs of a 2×4 brick, stuff it full of LEDs and then cover them over with round 1x1tiles? Not today. But perhaps a project for another day. What do you think a definitive LEGO House Model should look like? LEGO Architecture style, but with colours to match the finished product? Exclusive light brick to light the Keystone? Ultimate Collector Size?